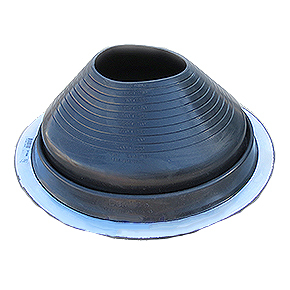 PRODUCT: #9 Round Base Black EPDM Pipe Flashing. 25.25" Diameter Base. Open Top. Fits 9" To 19" Pipes. Price/each. (5/case).